TotalBen currently offers TotalBen offers all forms of insurance, including group Vision Insurance. To quote a group vision plan, complete the following and submit it to info@totalben.com . Groups of any size can be written, provided it is based on a business; even husband-wife businesses. 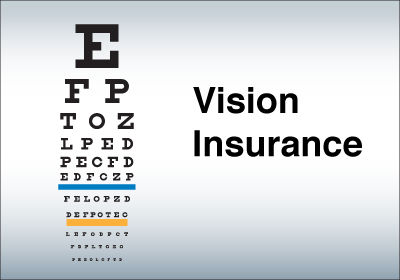 When a benefit is 12/12/12 the first 12 refers to an Eye Examination. It means an Eye Examination is covered every 12 months. A co-pay may apply. When a benefit is 12/12/12 the second 12 refers to Lenses. It means that Eyeglass Lenses or Contact Lenses are covered every 12 months. A co-pay may apply. When a benefit is 12/12/12 the third 12 refers to Frames. It means that there is a benefit for the purchase of Eyeglass Frames every 12 months. Typically this means there is a retail allowance up to a certain dollar amount.